Last week, Amazon edged past Microsoft to become the third-largest company in the U.S., joining the A-team of Apple and Alphabet. Also in the news that week: Amazon, after purchasing Whole Foods Market in July 2017 for $13.7 billion plus net debt, is officially adding the store to its two-hour Prime Now delivery service. Whole Foods delivery through Amazon will be free to Prime members who buy $35 or more per delivery, and comes with a $4.99 fee for those who don’t hit that minimum. $7.99 will get you one-hour delivery. It’s just the latest in what’s becoming a clear end goal for the online retail giant: offering a new way to live one’s life that emphasizes instantaneous delivery above all else. The Seattle-based company famously started its journey as an internet service with books, but — just as famously — is now everywhere. Need new clothes? Amazon can get you a new wardrobe overnight. Need to furnish a house or stock up on lab equipment?? Amazon. Want to stream TV? Listen to an audiobook? Download that bestseller that’s sold out in print? It’s all a literal click away. 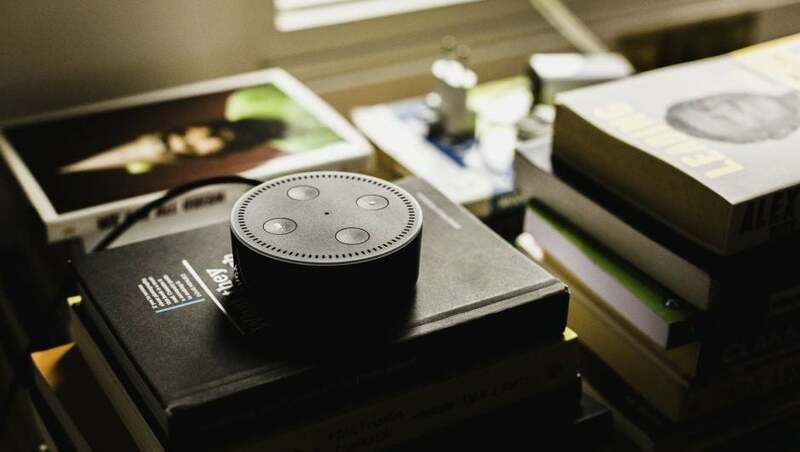 Of course, if lifting a finger is too tough for you, your handy Echo can buy it all with a voice command. 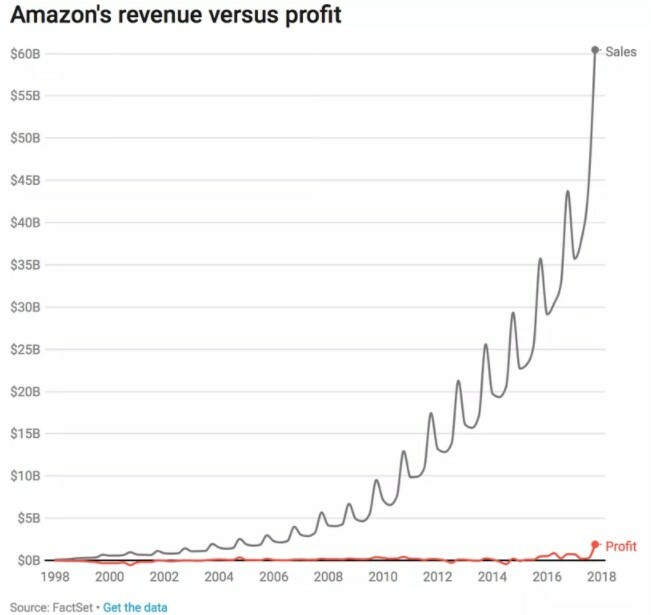 Amazon reinvests into itself constantly, as the above chart from Recode proves. It could earn a huge profit (and eventually will), but the more it grows now, the bigger the profits later. The fact that Amazon has frantically expanded into any direction possible since its inception proves its ambitions are sky high. They aren’t in the business of selling you things. They want to exist as a type of genie in a bottle, capable of delivering anything you wish to you within two days, two hours, or even just one hour, all for a reasonable price. Amazon’s appeal isn’t any one thing in particular; the appeal is in how dramatically our lives change when any product and service we need is at our fingertips. If you want a microcosm of Amazon’s power across the entire tech industry, take a look at the same-day delivery trend during the 2017 holiday season. As I wrote at the time, a report from Dropoff found that 60 percent of U.S. holiday shoppers in 2017 were more likely to purchase from retailers who offer same-day delivery, and, of those planning last-minute shopping, that number rose to 90 percent. Those high expectations aren’t stopping at same-day shipping options. 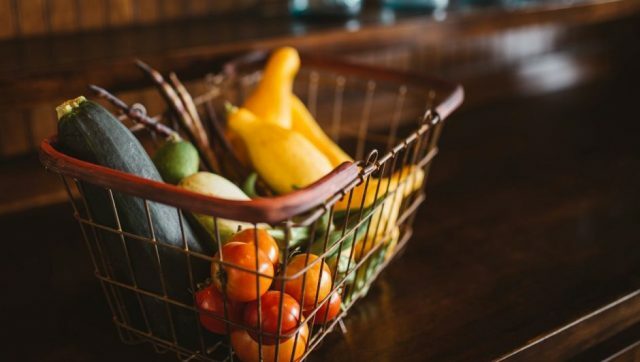 According to market-research firm Euromonitor, the market for home delivery of Whole-Foods-style produce is projected to grow at a pace 15 times quicker than that of the restaurant business over the next few years. The Amazon Effect is coming for food delivery, it seems. Even in a typically disruptive industry, Amazon is a mover and shaker. As a recent Reuters article on the company’s Whole Foods acquisition notes, the name Amazon is turning up in more and more investor calls with executives across the world and across a wide variety of sectors. What would a future entirely shaped by the instant gratification economy look like? It would likely be centered around urban hubs: Rural Iowa or the Appalachians won’t get Cheeto delivery drones anytime soon. But in major cities, the Millennial trend towards valuing experiences over things will likely continue to grow, powered by an Amazon-led charge towards insta-delivery. After all, why focus on what you have when you can potentially have anything else you could possibly want by tomorrow? Remember when we used to have physical DVD collections and music CDs? Your clothes and furniture could soon exist in an ephemeral state similar to the streaming services that replaced physical TV shows and music. 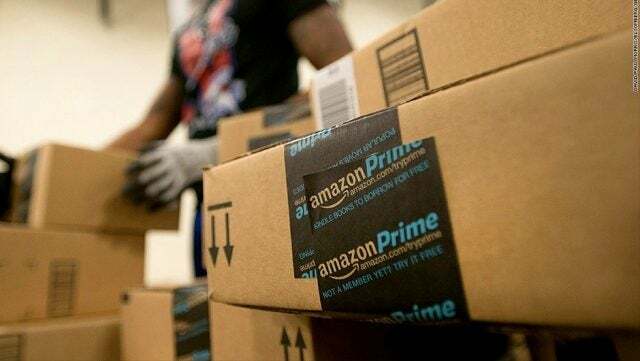 Amazon could potentially establish a textbook return-style policy to allow people to swap out their belongings as quickly as they can buy them. Though hopefully the mark-ups won’t be anywhere near as bad as textbooks’. Yes, I’m extrapolating wildly. And sure, Amazon isn’t the only company that will exist in this potential future. A hyper-delivery-reliant populace might be able to turn to plenty of other companies across the variety of sectors Amazon serves. Traditional retailers are attempting to play catch-up: Albertsons has acquired meal kit startup Plated, Walmart has same-day delivery startup Parcel, and Target has Shipt. Other industries each have their own worthy competitors: Netflix is a heavy hitter that outmatches Amazon in the streaming video industry. There are even a few contenders that remain hidden from the sight of the typical consumer, such as library ebook provider Overdrive, which holds a large chunk of the ebook market Amazon ostensibly dominates. But overall, the rumors are true. Amazon really does have a tentacle in every industry, and its immense power is dragging every other competitor into its orbit. The future might not be an Amazon-powered life-as-a-subscription service, but it’ll definitely look a lot more like one than it would without everyone’s favorite river-themed retail website. Regardless of how the specifics play out, the pioneering corporation will continue to dramatically reshape modern city-dwellers’ lives for decades to come.